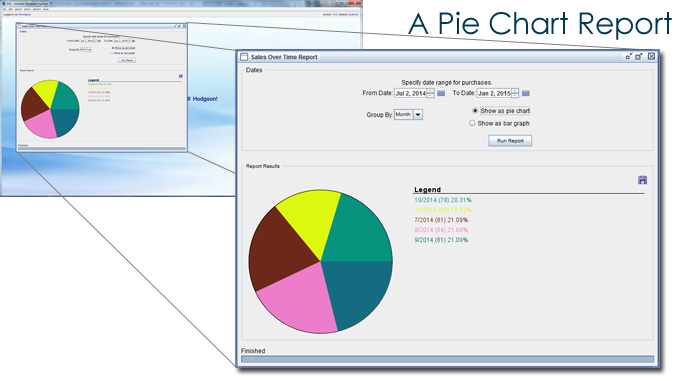 IDS is the perfect tool for analyzing your data. We will work with you to determine what reports you need to be able to make from your data. These may be reports on how many people responded to a certain emailing, or the geographic location of customers, or the number of times certain items have been displayed or purchased on your website or even highly complex reports laid out in Excel files. Each report can be in a format as simple as a table, all the way up to a complex multi-tabbed Excel file including formulas and graphs, based on your needs. Depending on the report it can be viewed within IDS, or within another application, such as Excel. The simpler reports which are viewed within IDS can also be exported to a text, CSV or Excel file if desired. In addition to generating reports, IDS can link the resulting report data to its import and export functions. This would allow you to use the export data screen to choose which specific data items should be exported for each record that was in the report. Together the reports we design with you will allow you to fully understand and analyze the data contained within your database.